Toshiba Satellite S50-B-14N 15.6" Gaming Laptop Core i5-4210U 8GB RAM, 128GB SSD. A perfect blend of beauty and power, Toshiba S50 is a laptop which is ideal for everyday use. 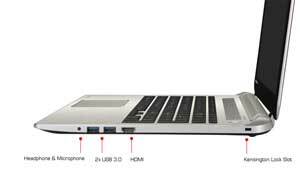 Its thin and light body encourages you to take it everywhere with you. Combining DTS audio, large display and multiple connectivity options it gives you an experience you always wished for. This incredible touchscreen laptop is designed to work with Windows 8.1. It has a tiled home screen which lets you put all your important things on the start screen. With Windows 8.1 all your favourite apps and programs are at your fingertips. The handy icon display real time information from all your favourite apps including social networking, emails, news and sports directly on the home screen. No need to open every app for receiving notifications. For opening a program you simply have to touch the app tile and you can use it with tap and other easy gestures. Powered by an Intel® Core i7-4500U Processor it gives you all the power you need for multitasking. It is capable of completing every task efficiently whether it is an everyday task or includes heavy processing such as media editing and design. 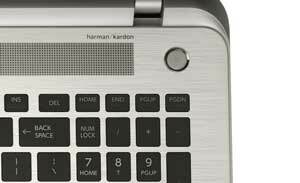 Its 8 GB of RAM gives you a smoother performance in multitasking. So chat, download and browse simultaneously without restriction. Enjoy better gaming with AMD Radeon R7 M260 graphics card. It delivers high quality graphics and high definition pictures throughout your computing experience. From video streaming to gaming, you can enjoy best quality in everything even on the move. Offering 1 TB hard drive it gives you enough space to store all your important data. Now you can store all your favourite movies, videos and games in your laptop without worrying about storage space. Backing up to external media is also easier with Windows Cloud integration and USB 3.0 compatibility. Enjoy your media at its best with immersive sound. 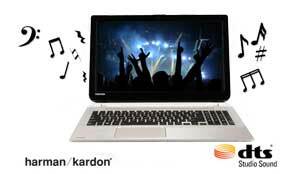 Whether you're watching movies on the move or streaming music, you can enjoy clear high quality audio with its Harman Kardon speakers combined with DTS Sound Enhancement. With the built-in WiFi connectivity option you can always stay consented to the world. 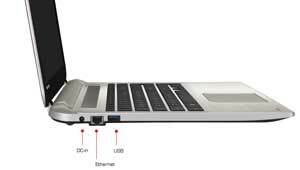 Connecting printers and other peripherals has also become easier with WI Fi, Ethernet port and three USB ports. Bluetooth 4.0 allows fast and wireless data sharing, plus you can also connect speakers, headphones, and other devices with it.